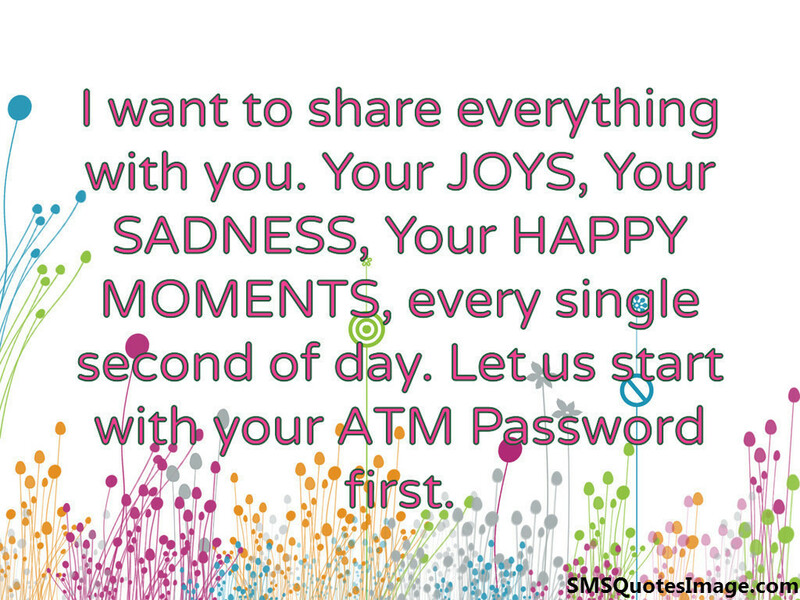 I want to share everything with you. Your JOYS, Your SADNESS, Your HAPPY MOMENTS, every single second of day. Let us start with your ATM Password first.